About Dairy Haus, the Original Ice Cream Store! Joseph Malatino and his family opened Dairy Haus Ice Cream in 1985. Joe had a vision of making homemade ice cream and serving it to people who lived nearby. Joe liked to keep things simple and although building the structure of Dairy Haus was not simple, the structure, everyone knows as Dairy Haus, is a small building that houses some awesome homemade ice cream. Developing Dairy Haus may have been Joe’s idea but his family took part and their efforts made this small structure into something incredibly sweet! 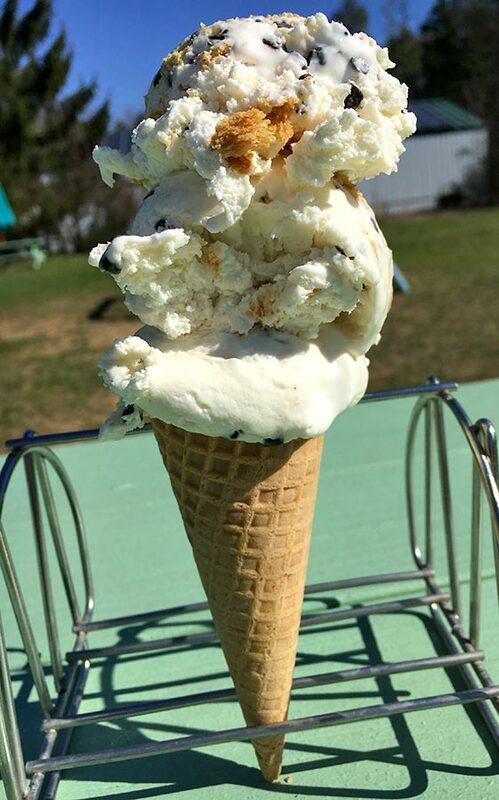 Making and scooping ice cream to running Dairy Haus were a part of summers growing up in the Malatino home. As Joe’s children grew up and found their own lives, Joe leased the business for over 10 years. As time passed and lessee’s decided to move on, Joe thought he would make Dairy Haus his own again for the 2014 season. His efforts went beyond what most men at the age of 75 can do. Many hours each day, Joe spent fixing machines, reorganizing, updating, the list was endless. As the months passed, Joe became more tired and when it was time to open for the season, he was needing to rest. Jody Cracco, who owns and operates Doggy Playcare, a family run doggy daycare and training center, next door to Dairy Haus, purchased Dairy Haus in March of 2015. 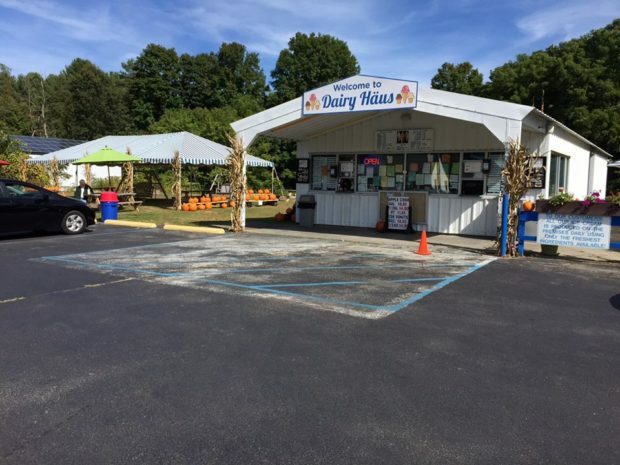 Jody’s family and the original owner, Joe Malatino spent many hours talking about the plans that Joe had to restore Dairy Haus to the way it was when he started it in 1985. As Joe grew more tired, Jody’s family spent more time making ice cream and learning the business. In the fall of 2014, The Cracco’s expressed interest in buying Dairy Haus and Joe was happy. They talked about starting the 2015 season working together to make sure things ran smoothly. Sadly, Joe passed away 2 weeks before they were to open. Running Dairy Haus that first summer was bittersweet. The Cracco family was and still is determined to carry out their dear friend’s wishes for Dairy Haus. Warm music, homemade ice cream, an inviting atmosphere, even a few brandy wine tomato plants on the patio. Most of the original workers have come back each year, as this incredible landmark continues to make the locals’ summer sweet.